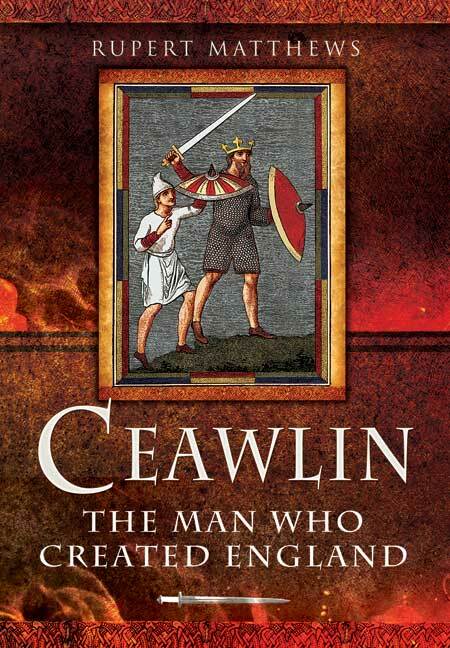 You'll be £19.99 closer to your next £10.00 credit when you purchase Ceawlin: The Man Who Created England. What's this? In this book Rupert Matthews puts forward his ground breaking new theories on the collapse of the post-Roman order in Britain and the formation of England. Drawing on newly analysed written sources and the growing mass of archaeological finds he presents a very different picture of post-Roman Britain than that usually put forward. In place of the anarchy and mayhem, Rupert suggests that Romanised governmental structures managed to survive the economic collapse of the 5th century and the population collapse of the early sixth century to emerge in new and barbarianised form in the later sixth century. The key figure in this story was Ceawlin, King of Wessex in the 570s. It was he who finally smashed the old order with his ambitious grab for power and who thus opened the way to the creation of the England that we know today with its English culture, English language and English character. "Presented in an easy-to-read narrative, I found it thoroughly enjoyable." Matthews writes clearly and in an engaging style, the 'fire-side chat' approach to historical writing, which is very appealing for readers who want a good story. This was a lucky find, as I have not come across books about Ceawlin before. The post-Roman kings and rulers of Britain are particularly interesting, and I am always keen to find books on this period, and particularly about individuals, where source material can be so scarce, and interpretations of that material vital. Much of the material for that period exists in later copies of the Anglo-Saxon Chronicles, which present their own difficulties in fact and interpretation. There is also material on the Anglo-Saxons in Bedeâ€™s History of the English People, which is a wonderful read. I found this a most fascinating book; the major premise is that instead of the withdrawal of Roman forces in the early 400s leading to complete chaos and breakdown of governmental structures, there was sufficient survival that even after the fall of the Western Roman Empire in the late 400s, and after the inroads of Saxon immigrants/invaders, a structure existed in post-Roman Britain that allowed for the consolidation of areas under leaders. Eventually, the struggles for supremacy amongst the Saxon, Angle and British warleaders and rulers led to the push for ultimate power by Ceawlin, King of Wessex in the 570s. Whether or not you agree with the authorâ€™s main emphasis on the importance of Ceawlin, the book itself is written in a highly engaging and readable manner. Beginning with the background, the author starts with the withdrawal of the Roman forces from Britain, the â€˜Bretwaldaâ€™ rulers of post-Roman Britain, and the potential â€˜Arthurianâ€™ peace. The main primary sources referred to are the works of Nennius, Gildas, Bede, and the Anglo-Saxon Chronicle. These are of course important sources, but as the author quite rightly allows, there is much room for conjecture and misinterpretation in their analysis and use. Next, the decline of the â€˜wide rulerâ€™sâ€™ powerbase and the writings of Gildas are covered in their place. Then, the author moves to discuss Ceawlin and places his life and activities within this period. Any author attempting to write with any narrative or purely analytical flow about the period in Britain between around AD 400 and AD 600 is going to open themselves to criticism. Much is not known, can never be known, or what is known can be interpreted in many differing ways. This is clear to anyone who has read anything of this period. However, I would recommend this book to anyone seeking to broaden their understanding of this period. It is not, and makes no attempt to be, a definitive answer to what happened in post-Roman Britain, but the author has attempted to â€˜think out loudâ€™ through a possible scenario. The reader is always entitled to disagree, but the book itself is a readable â€˜popularâ€™ coverage of a difficult scholarly period. As such, I still think it is worth reading, and making up your own mind as part of a broader reading of further writings. To me, the beauty of works such as this is that they offer the interested reader the introduction from which they will hopefully go off and discover more. Learning about and studying history is like building the pieces of a jigsaw puzzle; every bit adds to the sum of human knowledge and understanding. A really good place, if youâ€™re interested in the Anglo-Saxon world, is to look at a version of the Anglo-Saxon Chronicles, or the book The Anglo-Saxons, edited by James Campbell, Eric John and Patrick Wormald. Another very accessible book is In Search of the Dark Ages by Michael Wood. All very interesting and enlightening.